Knowledge is power, and not buying that screamingly cheap keg simply because it is not whatever style of connections you have can cost you in the long run. Depending on how well you shop around you can buy the pieces to convert a keg from pin to ball or vice versa for around $10. There are a few things you need to know. What kind of keg do you have? “Corny kegs” were manufactured by a lot of companies, with the lids generally being interchangeable, but the posts often use a different threading. You need to find the manufacturer so that you can buy the right threading. Look on the side of your keg to find inscriptions. Firestone and Cornelius are the two big manufacturers, so look for those first. Another useful tip is that firestone kegs generally have rubber that is not continuous. What I mean by that is that it is not one full circle at the top. It dips down in between handles. Here is a great link on how to tell different kegs apart. What kind of fittings do you need? Lately I’ve been really intrigued with the concept of spunding valves. 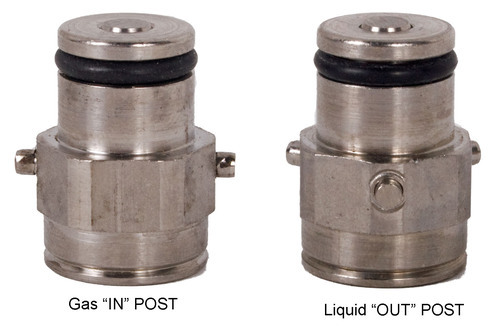 A spunding valve is like an air regulator that you attach to the gas port on a closed fermentation vessel. 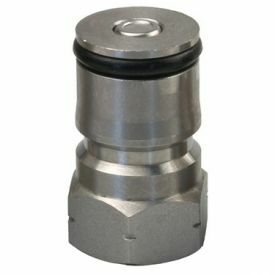 It is generally adjustable and you can dial in the point at which it will release the excess co2 to the air. Something like a spunding valve is necessary in order to do pressurized fermentation. Brewers use these during secondary or the end of primary to carbonate the beer while it is finishing. It has the benefit of skipping (or combining) the force carb step, and that means that you can go grain to glass faster! There are a few different ways to build one of these. Here is an article from BYO, here is a post from homebrewtalk, and here is a ready to buy version from morebeer. All of those cost around or a little over $30. Ball lock vs Pin lock Corny keg? The answer is pretty simple. The kegs are usually quite similar, but the connection point that the gas and beer lines use is slightly different. and this is an example of a pin lock post. In the past these kegs were used predominantly for soda syrup. Coke used the pin lock kegs and Pepsi used the ball lock kegs. They could have easily used the same system, but it was probably obfuscated in order to discourage restaraunt owners from switching soda companies as well as to keep the kegs circulating in their respective distribution pools.